There are few figures in the world of technology who have become as well-known and revered as the late Steve Jobs - innovator, showman, Apple CEO - and the man has even had two Hollywood movies made about his life over the past couple of years. If you're thinking yes indeed, Steve Jobs' career path is the career path that I want to follow, we should warn you that it isn't going to be easy. The man was in many ways unique - but if you think a life of tech CEO entrepreneurship really is for you, here are some starting points. No one was particularly all that interested in the idea of a touchscreen phone when the iPhone was announced in 2007 - except of course for Steve Jobs and his team of Apple engineers. In 2015 it seems obvious that a touchscreen is the most intuitive interface for a smartphone, but back then we were all glued to the physical keyboards everyone was most familiar with. You can't disrupt an entire industry by following the same paths and procedures that people in said industry always have - Steve Jobs-style innovation requires taking big risks, there are no two ways about it. You might want to start off with some low-level risk-taking, like changing up your drinks order on your next pub trip, and then try and progress from there. 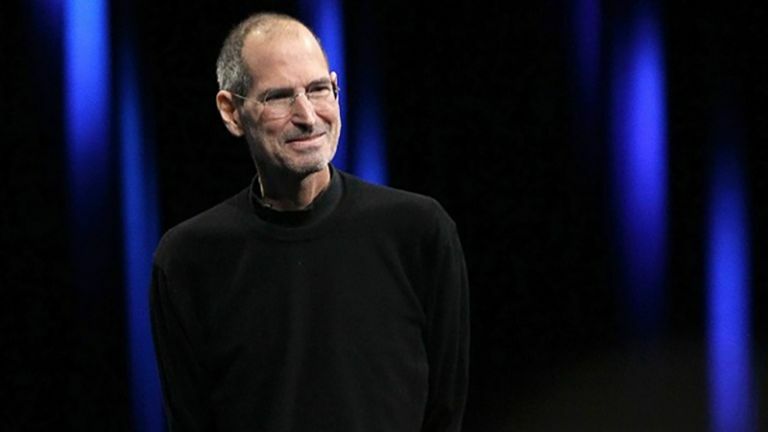 Oddly enough for the head of a world-famous technology company, Steve Jobs wasn't much of a coder or a builder: what he did have were leadership qualities and marketing skills in abundance. If you look at the people he put around himself at Apple, many of whom are still working for the company, you can see how astute he was at putting together a team. In the new Steve Jobs movie, Jobs describes himself as the orchestra conductor: while that quote may not be close to anything the Apple boss ever said in real life, it does neatly sum up what it takes to be Steve Jobs - an ability to bring out the best in people and make sure the whole company is performing in unison. Best get yourself a baton. As you may well know, Steve Jobs was shunted out of Apple in 1985 - technically he resigned, but only after the company board members had made it clear they would be reducing the level of influence he had within the organisation. Jobs left to form a new company called NeXT (eventually responsible for the software behind iTunes and the App Store), and also helped get Pixar off the ground. Jobs didn't go back to Apple until 1997, when his old company bought his current one, and thus began the boom years for Apple: the iPod, the iPhone, and laptops that set new standards for performance and quality. The moral of the story is: if at first you don't succeed, go away and make Toy Story, and then come back. In recent years Apple has been well-known for taking radical decisions that ended up looking obvious - ditching the DVD drive in laptops is one obvious one that springs to mind (Steve Jobs is gone now, but the new MacBook's solitary charging and data port is receiving about the same amount of criticism). Banning Adobe Flash from the iPhone is another example that Jobs was intimately involved with. For much of the Steve Jobs era, where Apple led, other companies eventually followed - portable music players, touchscreen phones, super-slim laptops - and you're going to need some similar long-term planning skills if you want to be able to emulate him. In other words, imagine what the gadgets of 2025 are going to look like, then see if you can build them. Steve Jobs was famously fastidious, taking time and care over every design decision that was taken throughout the company - whether that was the curve of an iMac monitor or the colour of the wood in the Apple Store. In the later years some of that attention to detail was supplied by Sir Jony Ive of course, but there's no doubt that it was inspired Jobs to begin with. So whatever your first product ends up being - smart toothpaste dispenser, revolutionary mobile phone, set of business cards - make sure that you take the same care and attention over the smaller details as Jobs did. Unless of course you have a terrible eye for design, in which case get someone else to do it on your behalf (just keep watch over their shoulder).